VED s.r.l. was established in 1970. 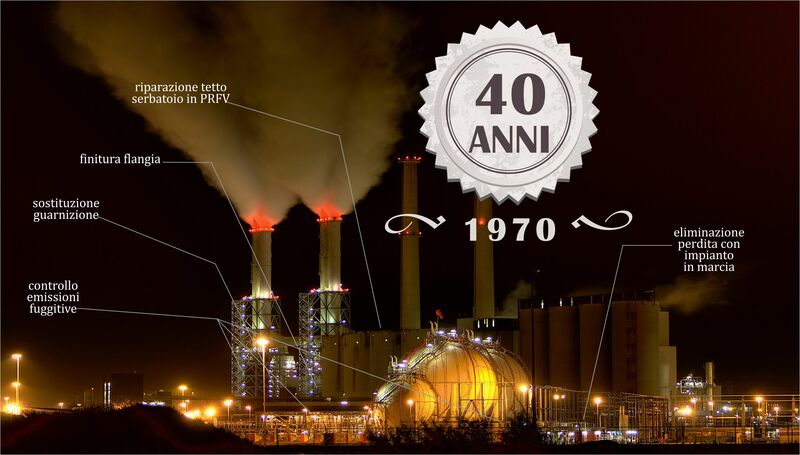 It started by the name EUROSKET in Priolo (Siracusa-Italy) industrial area, supplying services, such as industrial gasket production and G.R.P. 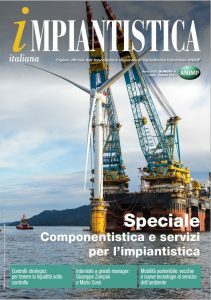 piping installation for all the industrial plant located in Sicily. 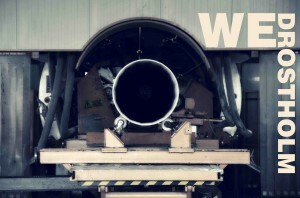 Soon the company developed an innovative thermosetting technology capable to manufacture a large diameter GRP pipe by the “Continuous Filament Winding” process. 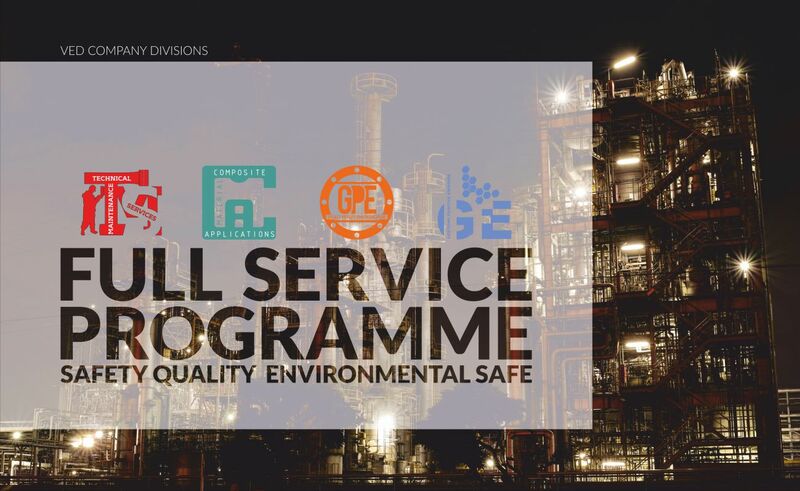 The Company activity evolved by introducing FURMANITE specialized on-site mechanical maintenance services and assistance; that allows intervention on running plants such as leaks sealing and hot tappings activities. 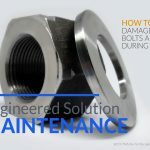 A new Company service was born to enhance mechanical joint system reliability with the name of S.G.S. Sealing Global Service. It is an high reliability operational system starting from the sealing problems analysis up to the product design and the final system test and control. Then the growing company changed its name to VED, as the nowadays. 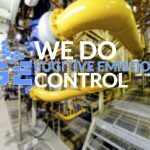 … but day by day with the increased experience the inside company’s research activities started focusing on “Fugitive Emission Control”, bringing VED’s commitment to the attention on the natural environment and worker safety care. 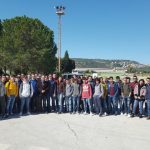 Today VED employees more than 200 people over Italy and abroad. VED acquires knowledge and experience such as to place it today as excellent partner for large international customers. A Global Service is now supplied on turn key basis, cooperating with the customers in all the engineering solution steps: from the design to the product manufacturing, up to the installation and the maintenance of what has been supplied or taken care. VED offers continuous high quality growing service thanks to its R&D processes. 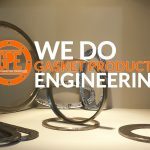 GPE – Gasket Production Engineering Div. 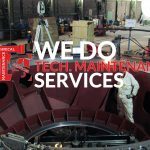 TMS – Technical Maintenance Services Div. 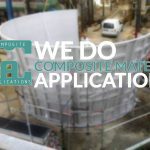 CMA – Composite Material Applications Div. 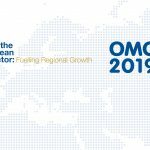 GFE – Gestione Fugitive Emission (Monitoring) Div.